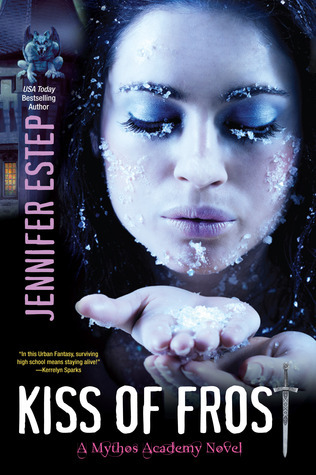 Kiss of Frost is the second book in Jennifer Estep’s Young Adult Mythos Academy series. This is such a cool concept for a series. I found so after reading book one and that hasn’t changed after reading this book. Mythos Academy is a school for Spartans and Amazons and Vikings and Valkeries and all other mythological beings that turn out not to be myths. They actually exist and the teenaged version of these beings go to school together in order to learn how to use their powers and skills. That way, they can be prepared when Reapers (those who worship Loki, the god of chaos) come to fight. Reapers are attempting to free their beloved god from a jail of sorts that he was trapped in when he was naughty, so really, fighting is inevitable. This series is told from Gwen’s point of view, a seventeen year old gypsy who is gifted with psychometry. That means she can see the history behind any item or person when she touches it or them. I really enjoyed seeing Gwen mature in this book. She’s still very much a teenager, which I’m glad. This is a YA series after all and the last thing you want to see is a teenager going to high school who acts older than she is. Gwen’s confidence is growing as is her understanding of her power. I like the twists with her power that Jennifer included. Neat stuff. The kids are off to a ski resort this time around to celebrate winter and to partake in a Carnival. Even though Gwen is new to this whole “you are really something you thought didn’t exist” thing, the other kids at school have known of their destinies since birth. So seeing gargoyles and strange themed games might be odd to Gwen but it’s just normal to everyone else. I thought the twists on the games was really cute. I found parts of the story were predictable but other parts were surprising. 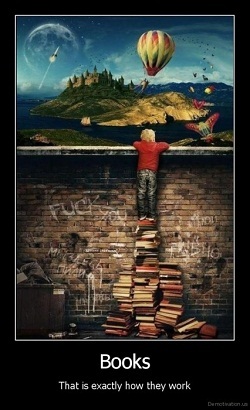 What you think will be the climax of the book ends up not being the high point at all! And we finally learn what Gwen’s true calling is. I didn’t mind the villain this time but he was a little flat for me and I hope that we see a new villain in the next book, Dark Frost, due out in June 2012. The author’s repetitive style of writing was still apparent to me but I think after reading so many of her books, I’ve come to expect it and I know when to scan certain paragraphs. There is a glossary of sorts at the end of the book which I thought was cool. It not only explains the main characters, but also the school’s layout and the gods and goddesses that are mentioned. An interesting tool to have. Overall, I found Kiss of Frost to be a solid read. It didn’t quite have the same sparkle as the first book, but I found myself wondering what was going to happen next when I had to put it down to make supper or that such thing. I am looking forward to seeing what Gwen will do with the new twist on her powers and how she will handle her new calling. Overall, a good entertaining read. “Parteeeee!” all the other kids screamed, lifting up their own cups in response. Then, with one thought, everyone chugged down whatever was in their cups. In my case, it was some kind of light-colored ale that tasted like sour grass as it slid down my throat. But I drank it anyway, if only to blend in. Nobody here was drinking soda tonight. 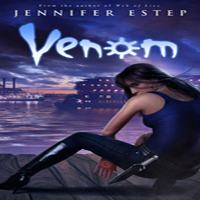 Share the post "Review: Kiss of Frost by Jennifer Estep (Mythos Academy #2)"
I read the 1st in the series & while there were many things I liked about it, I’m on the fence as to whether to read this one. 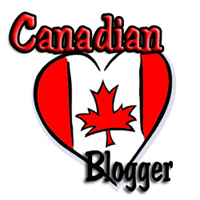 Unfortunately, the author has a tendency to repeat things ad nauseam, to the point where I feel like she thinks her readers are either slow or a little stupid. I love her characters & she always had great action & storylines, but the way her protagonists (Elemental Assassin series, too) repeat things every other paragraph drives me a batsh*t crazy!! I finally gave up on the Elemental Assassin series for that reason alone & while I was willing to give this series a try, I’m not sure if I want to continue with this one or not. Honestly, the constant repeating of the same information is the only thing that keeps me from her books, its just THAT bad in my estimation.